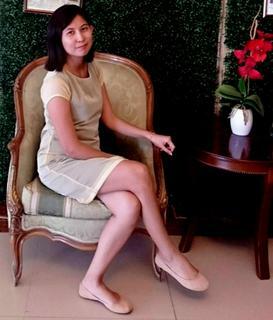 Before I started my skin care treatment, I made sure that I use products which are not just widely acclaimed because it is endorsed by actors but because of its effectiveness. I do not aim to have a whiter skin, but I wanted to achieve a fairer skin instead. I used to have acne within my face and my arms skintone is not even. I don't apply lotion as it just super moisturized my skin that it tends to sweat due to hot climate here in Philippines. I do not want that. It's sticky and uncomfortable whenever I commute. 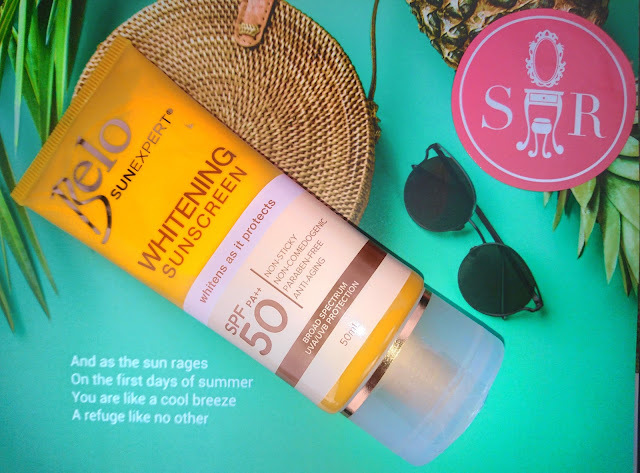 But, upon learning to sis Genzel that I should also be using a suncreen not just to protect my skin under the heat of the sun but also to add a skincare to my skin because it also helps moisturize upon applying. By 30's, you started taking care of your skin to avoid pimples, uneven skintone, fine lines and wrinkles and also sunspots. I could have notice and take action about this before but I just didn't realize it would hit me this time. Good thing, I use Belo SunExperts products now. I notice that it helps me to lighten my dark spots. 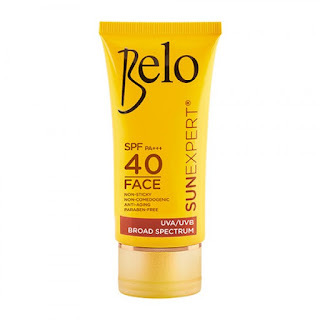 I have two of Belo SunExpert products; one, I purchased a Belo SunExpert Face Cover with SPF40 and the other one which I got for free at Sample Room, the Belo SunExpert Whitening Sunscreen with SPF50. I will tell you which of these two is the one that I love to use for awhile. From the key points, you already know which one is much comfortable to apply in this hot climate. For me, I like the Belo SunExpert Face Cover more than the Belo SunExpert Whitening Sunscreen. Although the latter helps to achieve a whiter skintone than the other, I still prefer something that is lightweight and non greasy to apply. Hopefully, the Belo SunExpert group would adhere this factors so that we can really achieve the whiter and fairer skin goals this summer! I am still on the adjustment period ever since we moved to our new house last December. But today, I've been adjusting well together with my husband. There are days where it seems that task are all piled up and there never seems to be a time for us to rest. Some days are full of errands and some were just let's hit the bed and get some rest for the day. When we moved in, there are certain factors I didn't realize. I wish I could have written up every detail in our new house but right now, I need to write from time to time and share our own mishaps from the day we acquire this home up to the last minute of moving in. It didn't quite occur to me that living here would really stress me out when it comes to grocery shopping or having some bank errands at the city. Aside from we are far from it, I need to have atleast 3 rides before I get to the nearest location I needed to be. Despite it all, I have a kid with me whom I will always be bringing now when I need to do it all. But I know in God's time, we will have our own car to ease the pain of travelling with a kid. Good thing for now, we have an accessible tricycle nearby where we can just call when we need a service to a nearby supermarket. For quite some time I've been back to ordering online again and if you are a regular reader of my page and personal account you know me well that I always have an online delivery for foods too. I thought that by having a complete address (yes we do not have a house number back then) will find it easy for me to do this but to my dismay, some courier and food hub doesn't cover our area for delivery. Sigh. At first, I was relieved by the fact that I have an internet connection which is wired and offers me a big data allocation which is 3 times our usage for a month. Only to find out at the last minute that the subdivision doesn't allow a wired internet connection here. What?!? So at the last few days before I moved in, I haggle at the customer service of Globe to have my plan upgraded or changed which will permit me to have an internet connection the soonest. Glad that they responded on my request for not more than 48 hours. Although the data allocation now is much smaller than before, I am still thankful that they have provided me the connection I needed just right in time. And if there will come a time that I need an extra boost on data allocation, I just have to use the app provided or call to a customer hotline again. On my first week, I have my first emergency ever. We ran out of gas and the time is already past 8 so we do not have a delivery service which can cater at that time to deliver us a gas for cooking. I tend to wait for the next day. Good thing, I learned from my neighbor that they have this Gas Delivery Service that can cater deliveries up to 9PM. Good glory. On our next emergency, I realize that the Brgy Hall that caters us doesn't have a 24 hours service clock. What if the emergency happened at the wee hours of the day? Who are we going to call then aside from the roving guards we have at the subdivision? Although I can assure you that the security in our subdivision is awesome, still, wouldn't it be nice if the nearest Barangay will be of use when needed? I've been living here for almost four months and these are just a few of the things I realized and wish I knew before moving here but apart from it, I have the best and peaceful community ever. I like the fact that Isobelle and I can wander off for some time in the afternoon walking or biking. I like the idea of living far from the relatives and family away from stress and chismis. I like the feeling of living really independently here. I took advantage of the Lazada Birthday Sale last March 27, 2019. When we moved here in our new home, my husband and I we're a bit thrifty compare to his previous vacations. We didn't have that much money for our clothing. Yes, every year, I make it a point that we deserve a bit of shopping. Bakit pa kami nagtatrabaho kung di din naman pala namin i treat ang aming mga sarili diba? But since we have a limited budget this year, when I got my work pay, and I heard about the Lazada Birthday sale, I instantly took the advantage of the promo and vouchers. If I told you that I spent only Php691.20 pesos for 2 sets of clothing from Bench, would you believe it? I ordered two for me and 2 for husband. I used 3 types of voucher promos, 100 pesos off from Lazada Voucher, 100 pesos off from the Merchant Bench voucher and 200 pesos off from paying thru GCash. Great steal right? Now, here's the great part, I should be paying for the amount of Php2179 instead. Isn't it amazing? I bought 4 items for us and saved Php1487.80! Parang ako yung nagbirthday! Now, let me also tell you that aside from this, I got a cashback too! I got a cashback of Php53.93 pesos! If you want to earn from cashback or even get discount join me! Register under my referral code and get your Php50 (GCash) and Php100 (Shopback) bonus. Here's a pro tip. Always look for promo online if you are a regular online buyer. Ensure that before you buy a product, consider the recommendations and feedback from recent purchases. You do not want a hassle return if you receive an item that is not worth the price right? 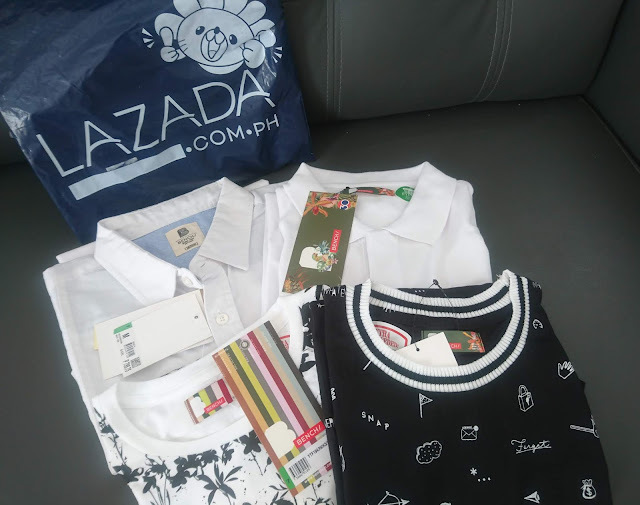 Thank you Lazada and GCash for this wonderful sale ever! 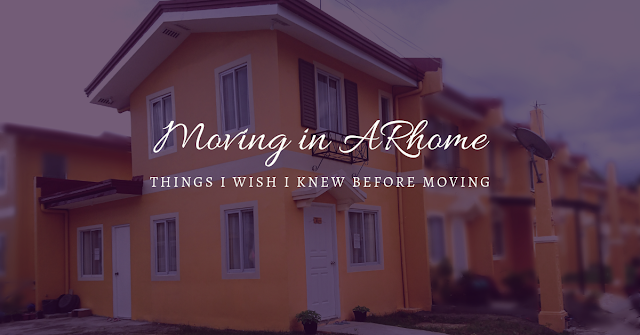 When we moved here, I feel so restless for a week because of everyday chores and dealing with matters at our new home. 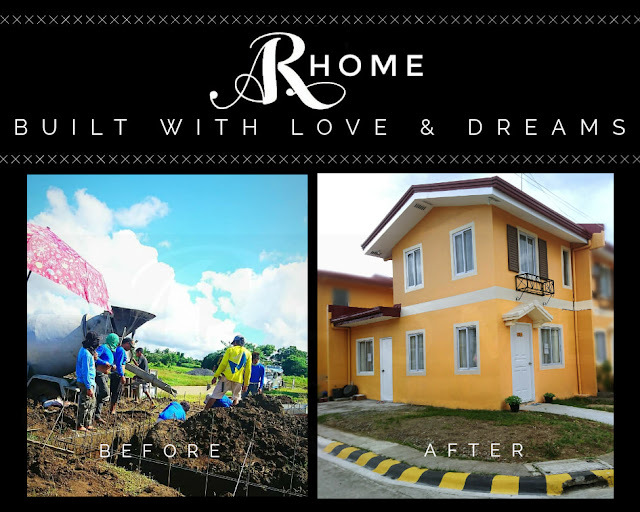 From cable installation to internet connections, reconnecting with lives in the neighborhood, everyday routine and drastic adjustment because we live far from city makes me feel so tired that I have cramps at the end of the day. I also have this social media attachment that I can't lay down my phone for a period of time because I have to catch up. It's really hard to give up and unplugged. I also have the tendency to always be online because of my work at home. 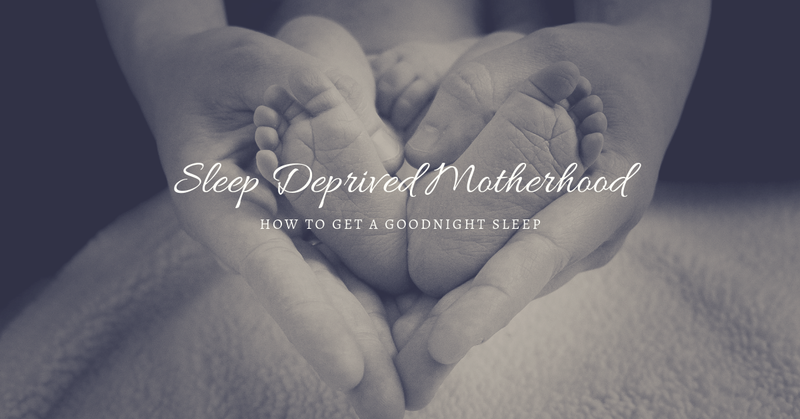 When hubby came, the household chores was divided but I still can't seem to find a decent sleep that I ended up waking at 9 in the morning because husband lets me have enough sleep during the day since I am almost awake in the wee hours because of work. It's really hard to find balance between work at home, having a toddler and adjustments in our home. But this week, I get to have enough rest and able to balance all of it. I wake up early in the morning now, have some coffee and log in for early work while my kid is beside me having breakfast too. We do not have crying session in the morning now, good glory! By 10 am, I have to prepare for our lunch and by 1 pm it's already siesta since I have work by 2 pm onwards. I unplugged myself for 2-4 hours maximum in a day at social media. I also sleep before midnight so I can wake up peacefully in the morning without the need to nag around just because my sleep is not enough. So the culprit is really my phone. I am still aiming for more hours unplugging but I just really can't for the meantime. It is also our means of communication. But I am proud that atleast, for the 2 hours period I get to sleep in the afternoon. Being a mom and working at the same time could be exhausting. Rest is really needed and in this time of technology, we need not just to balance our time but to also mind the time we used in everyday of our lives. 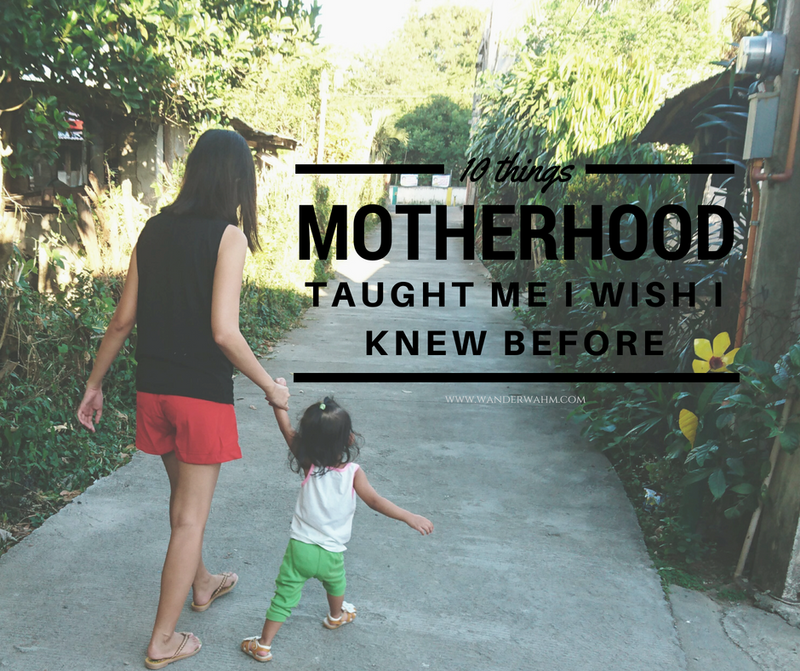 I aim to build more time, more "mommy daughter" time this year. Because really, time is precious and sooner or later we don't want to regret the childhood of our children that we just let to pass by. Take a rest, breathe fresh air and balance your time and you will surely surpass motherhood with flying colors! 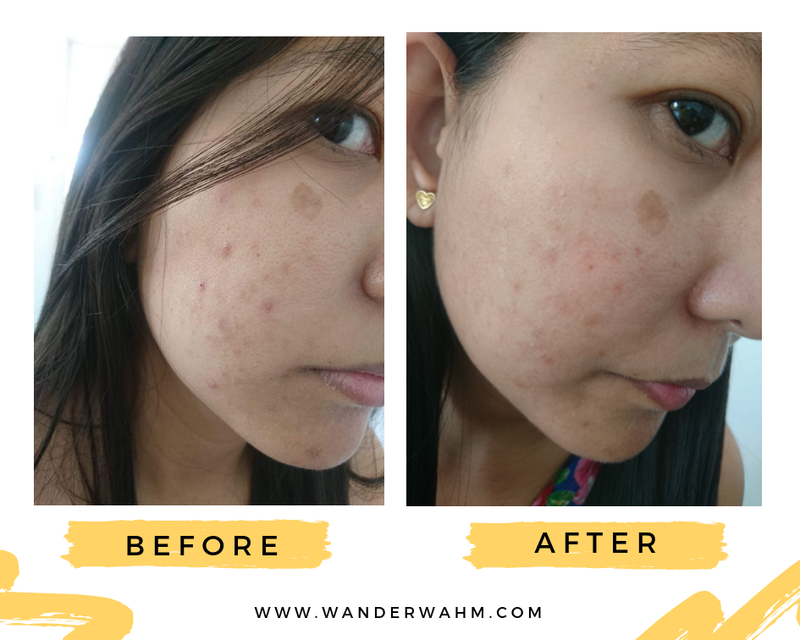 I do not intend to be whiter but I wanted to have that fairer skin without acne breakouts. Because my face is not cooperating with my recent beauty stash regimen anymore. If you've been my follower, you know that already. I searched online for the most effective capsule that I can take since Vitamin E is also not effective with me. Then I bumped into impressive reviews with Vitapack. I also know some bloggers who are already using this with their beauty regimen (Mommy Via, Genzel, Kikay si Kat). 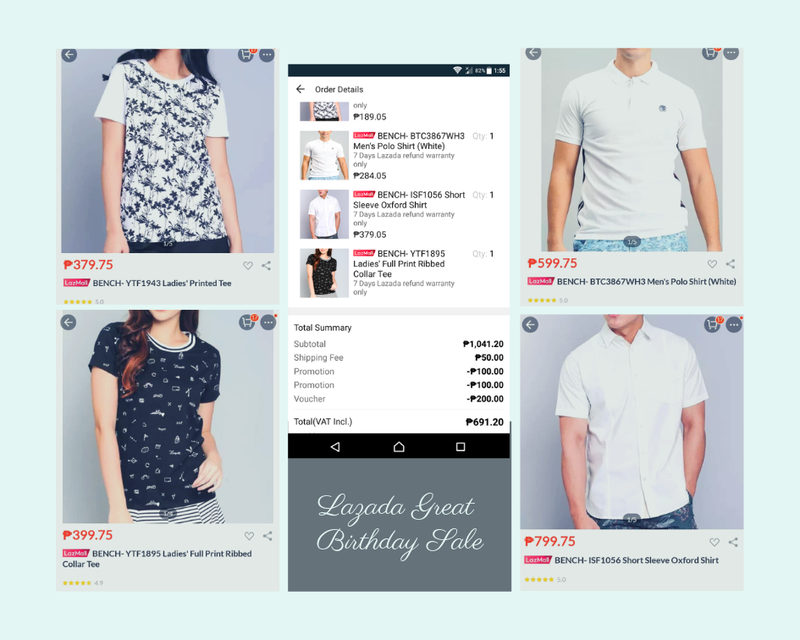 Good thing GCash have this Cyber Deals wherein they offer a whooping Php200 rebate upon purchasing using GCash as payment method and another 10% discount before checkout. That is really huge savings considering that Vitapack is a bit pricey for me. 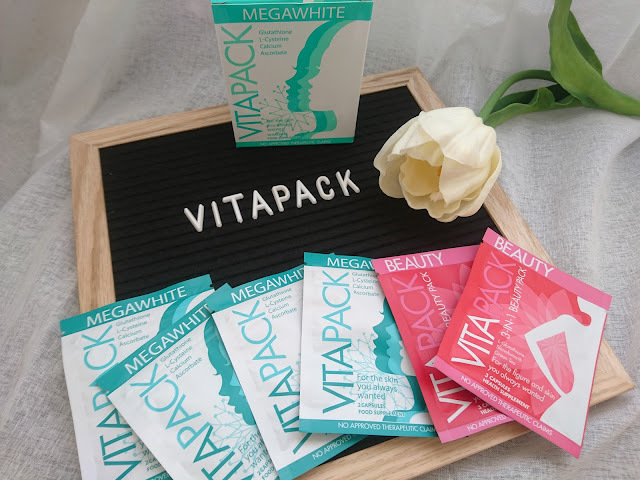 Vitapack Megawhite costs roughly Php920 at Lazada and can be bought per sachet through their Shopee account at Php65 each pack. Each box is consists of 10 packs already with 2 capsules inside, one for morning and another one for evening dosage. So I ordered 1 box to try if there is no side effects upon taking this oral. The delivery was fast and I receive the rebate 3 days after. First impression was the packaging is superb since every pack is resealable. You can bring each stash if you are also travelling and it's super light to carry actually. I drink the first capsule before breakfast and the other one before bedtime. The first box I ordered lasted for 10 days and although I've seen significant changes with my face, I am hesitant to order another box because of it's price. Good thing, I was saved by GCash once again. 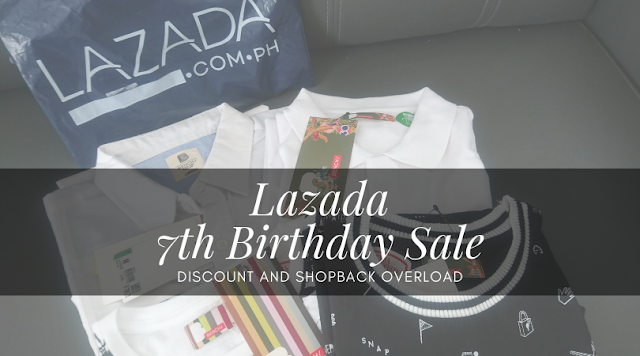 They have another promo of Cash In with Lazada wallet and receive 10% of it. Also, I withdrew the money I earned from Snapcart. It's almost the price of the first box I ordered. But this time, I am taking it once a day only. Vitapack Megawhite (green box) can be used to achieve a natural brightness to the skin or can also be used as a whitening supplement. Vitapack Megawhite contains l-glutathione, which is one of the most effective anti-oxidants; and l-cysteine, which helps the body produce its own glutathione. See the before and after photo of my face upon taking the first box of Vitapack Megawhite. There seems to be a significant changes for a week use of Vitapack capsules and I can't wait for the results after a month of taking the supplement. It really helps me to get rid of my stubborn acne and helps lighten my skin. Disclaimer: This is not a sponsored post. I use my own money to purchase the Vitapack Supplement on this review. We all know the fact that having your work at home would give you so much freedom doing all the chores and parenting skills in a day. But what if we have to do bank errands? Working at home made me realize that I cannot just roam around in a day and do bank errands. Aside from it is time consuming because of pile of depositors, there are also days that I can't just take a leave with my work. Good thing GCash Transfer made it possible for me to have my bank errands hassle free! 1. My work pay is thru Paypal and Paypal funds are the most crucial when it comes to withdrawals. Aside from the limitations and other complaints I've heard from the time being I started working at home, withdrawals are my dilemma. I need to have a minimum amount to be able to transfer funds to my nominated bank account. It took 2-3 days sometimes before my money will be transferred into it. But GCash seamlessly transfer my Paypal funds in just a minute! Plus, it only has a Php500 minimum and waived fee. How convenient was that? 2. 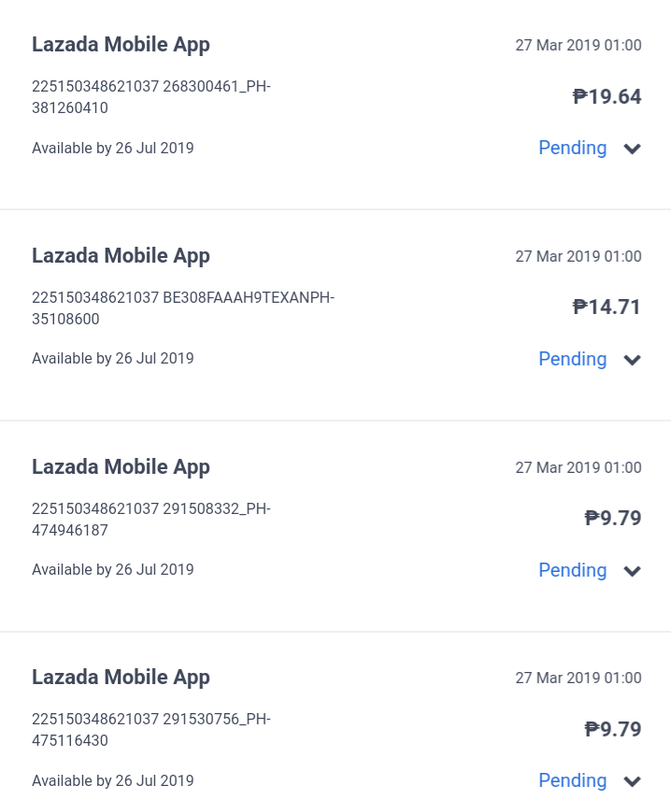 Now having my Paypal funds transferred to GCash made it more convenient for me because I get to choose where I will transfer the amount with two of my banks. 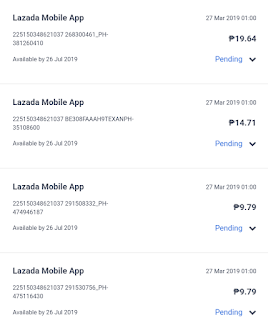 Sometimes I need funds thru my BPI because I have to pay my credit card but most of the time I needed it in my BDO because most of my transactions and bills payment is done through it. Now I don't have to worry because I can seamlessly transfer from GCash to BPI, GCash to BDO or even transfer my funds from BDO to BPI with waived fee too! How can GCash made a promo like that? Here's how you can transfer your funds from one bank to another. The only thing I guess GCash has to work on is the transfer limits. They claim that in a month transaction, you are only allowed to have Php100,000 in total of debit and credit. Which is a small amount since you have a total of Php100,000 only in your account. There should be a chance to increase limit since a lot of work at home now are earning more money and I don't think a 100k limit would suffice. Also, I know that some businesses now are also having GCash as their mode of payment so I really think there is a need to increase limit.